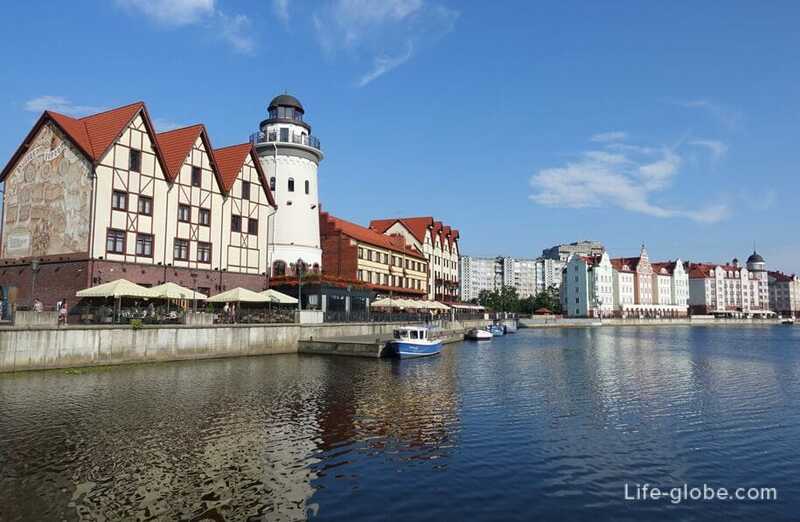 Fish village or Fishing village - ethnographic and trade and handicraft complex located in the heart of Kaliningrad, on Oktyabrsky island (former Lomza), Bank of the Pregolya river. 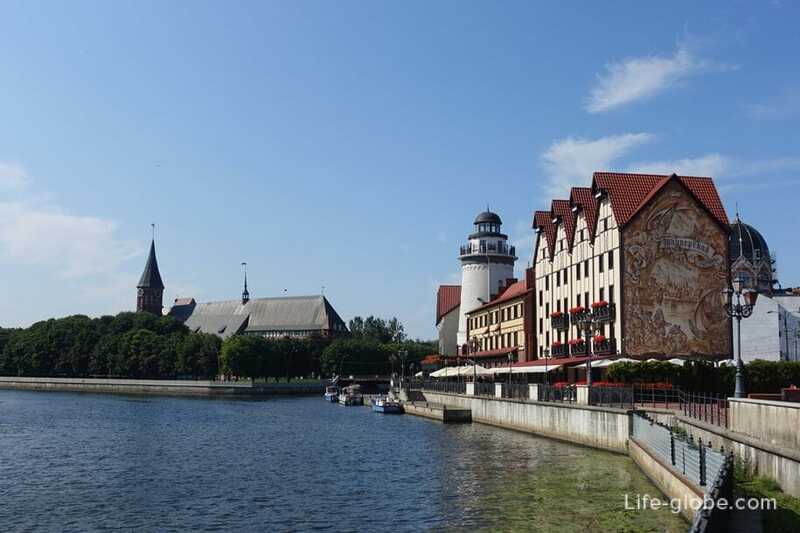 Complex Fishing village stylized pre-war East Prussian city of königsberg. 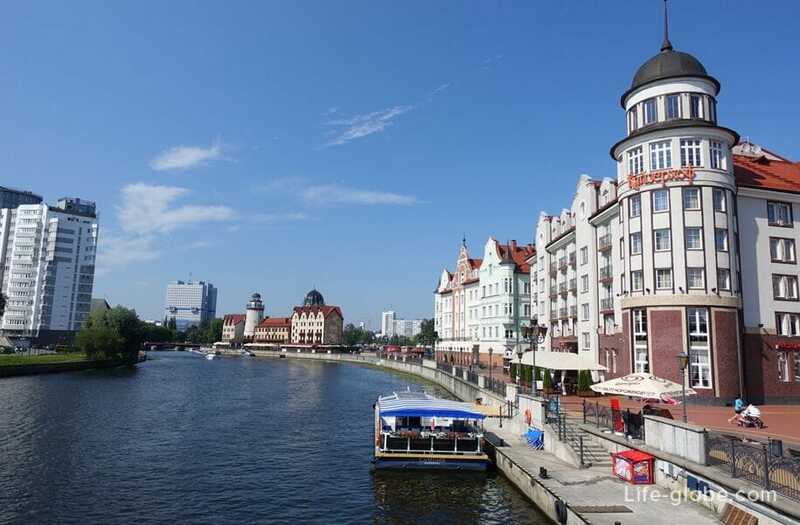 By itself, the complex is small and stretches from Honey bridge connecting the Fish village with the island of Kant, to a High bridge and is a promenade. 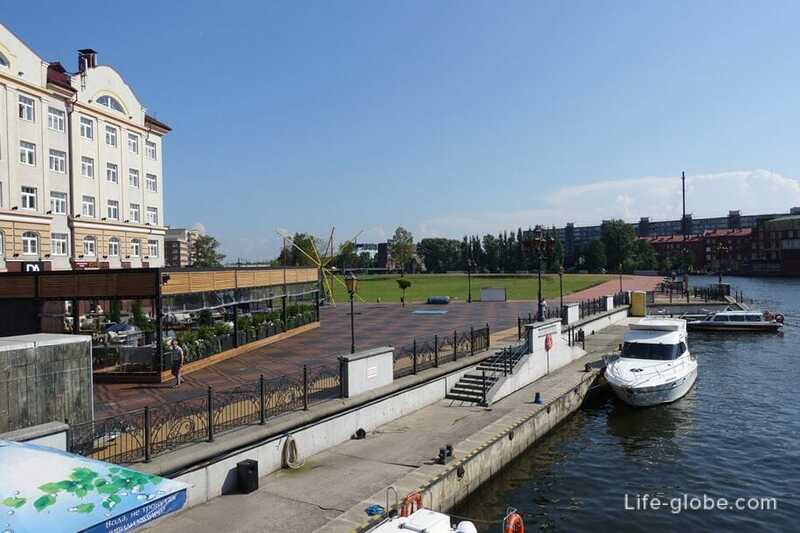 The most interesting and visited part of the Kaliningrad Fish village is part of the promenade stretching from the Jubilee bridge to the Honeymoon bridge. 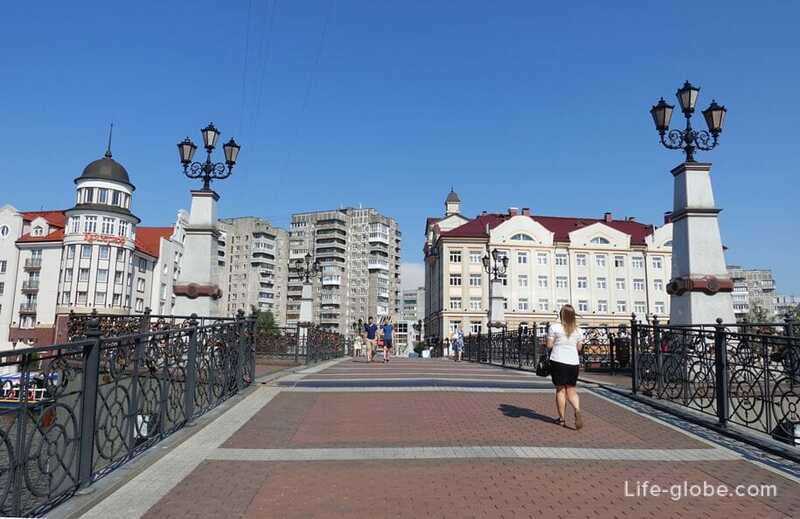 The jubilee bridge, a pedestrian drawbridge across the Pregolya river, a part of the complex Fish village and connects the street Oktyabrskaya street Epronovskaya. 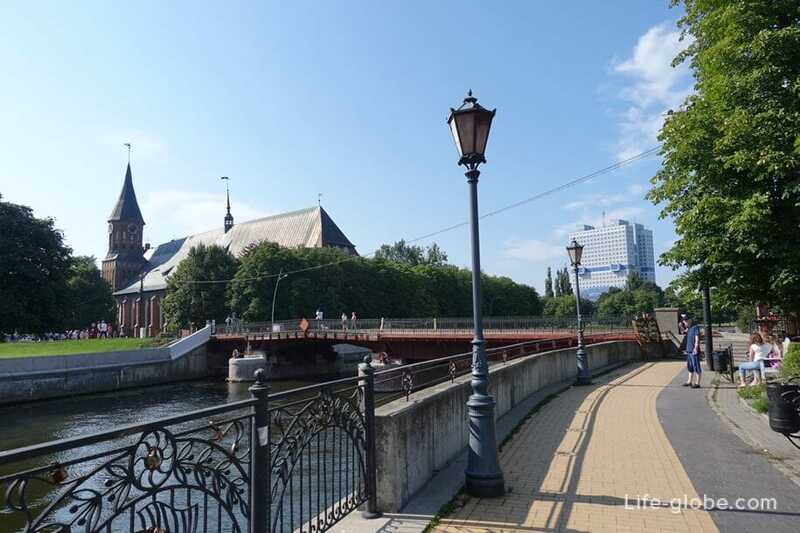 This bridge was built by the city hall of Kaliningrad to celebrate the 750th anniversary of Koenigsberg - Kaliningrad. 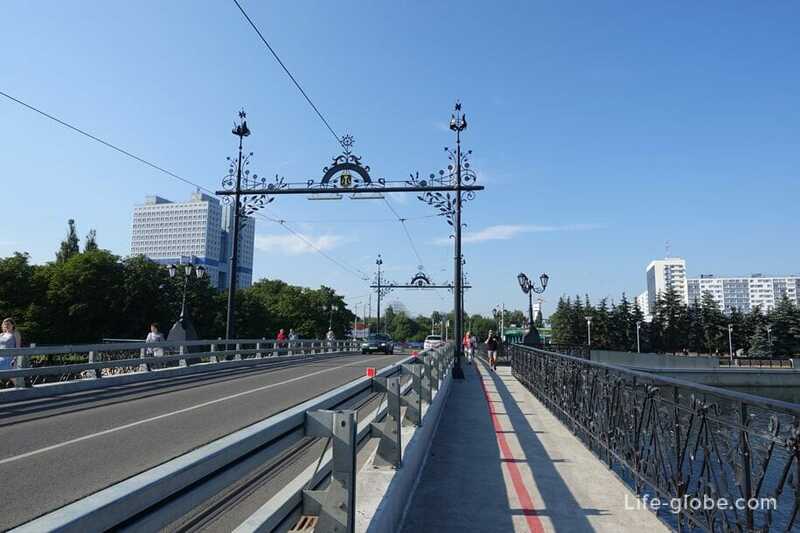 For this reason, priurochen the opening of the bridge to the town's anniversary, the bridge got its name "Jubilee". 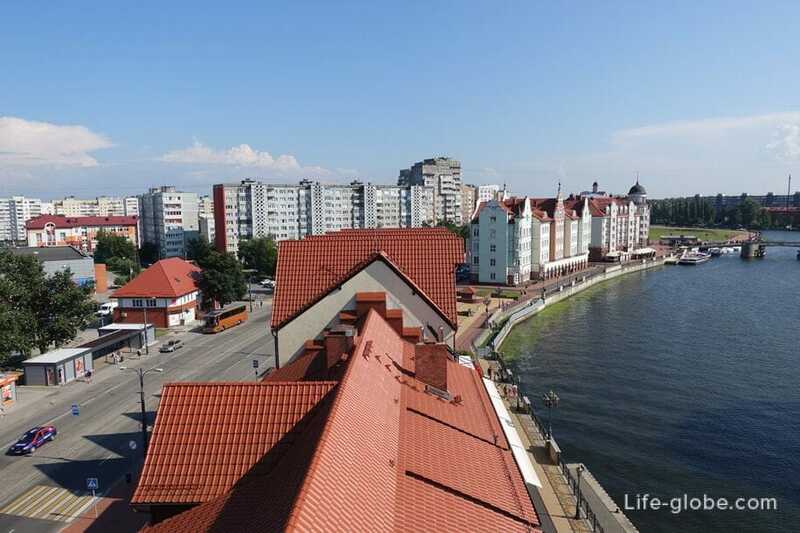 On the North side of the bridge offer beautiful views of the Fish village, the Council house, and the island of Kant. 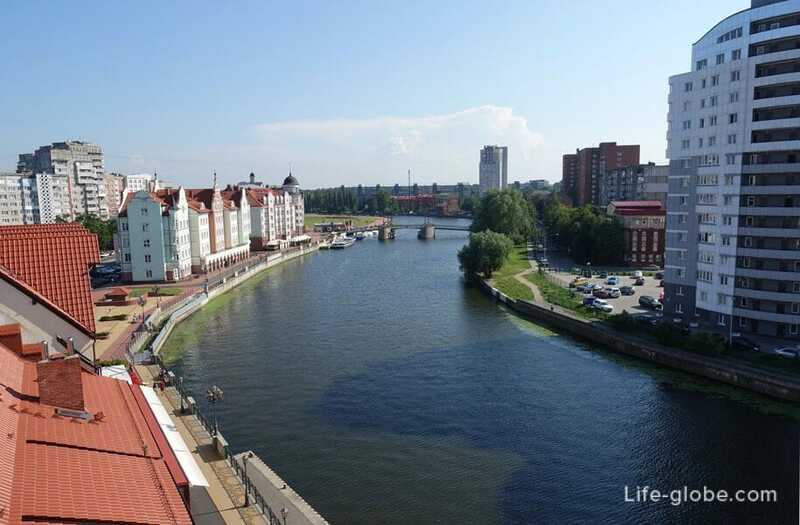 While it is possible to see a continuation of the embankment and a High bridge. 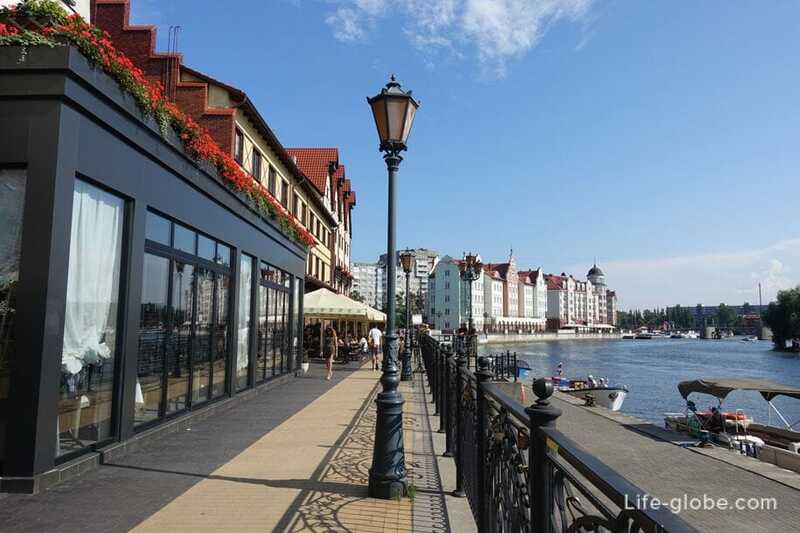 Embankment of the Fish village - the most vibrant and colorful part of the complex. 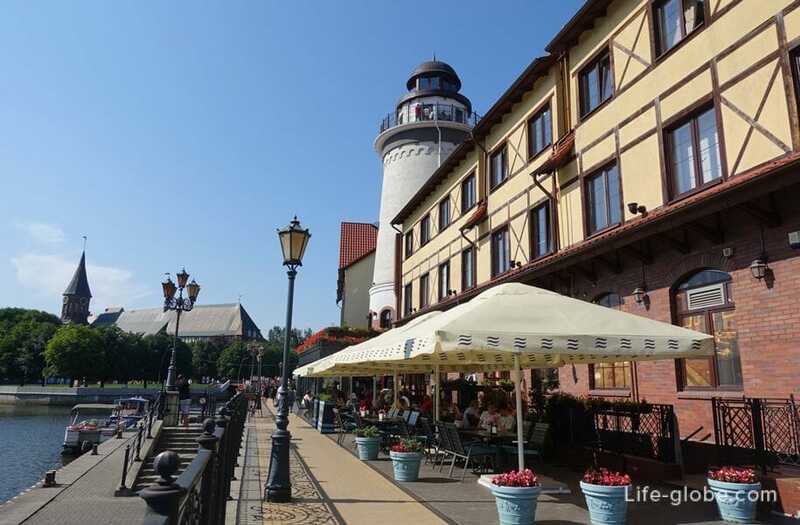 Along Naberezhno: stylized buildings and sights of the Fish village, as well as cafes, restaurants, souvenir shops and hotels. 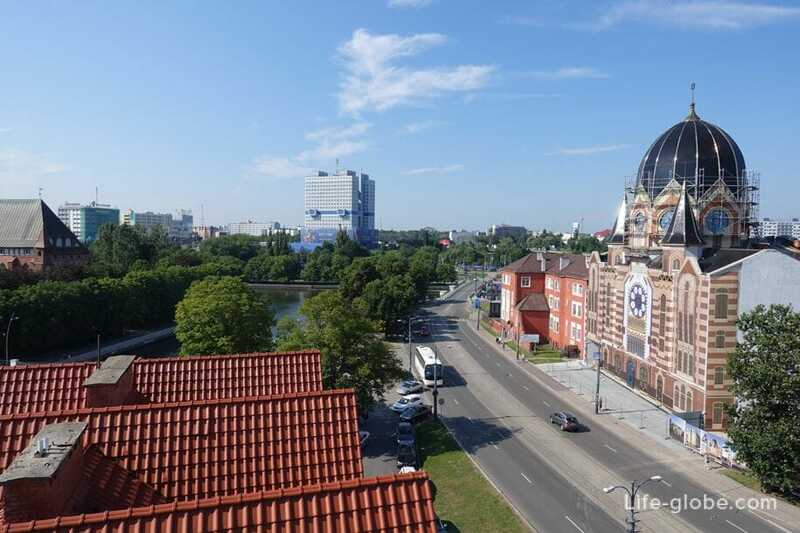 Immediately after the Jubilee bridge is a small square with places for rest. 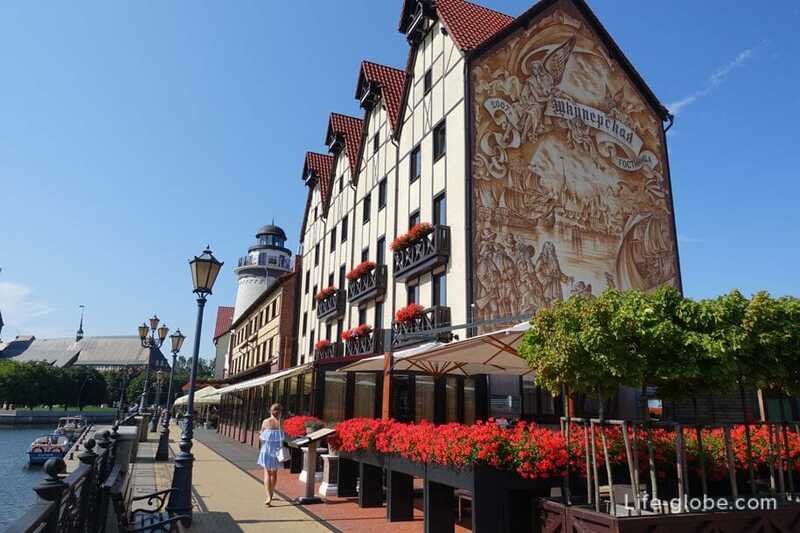 Here, in the beautiful building houses a restaurant and 4-star hotel Kaiserhof Spa center, pool bar and a sun terrace. 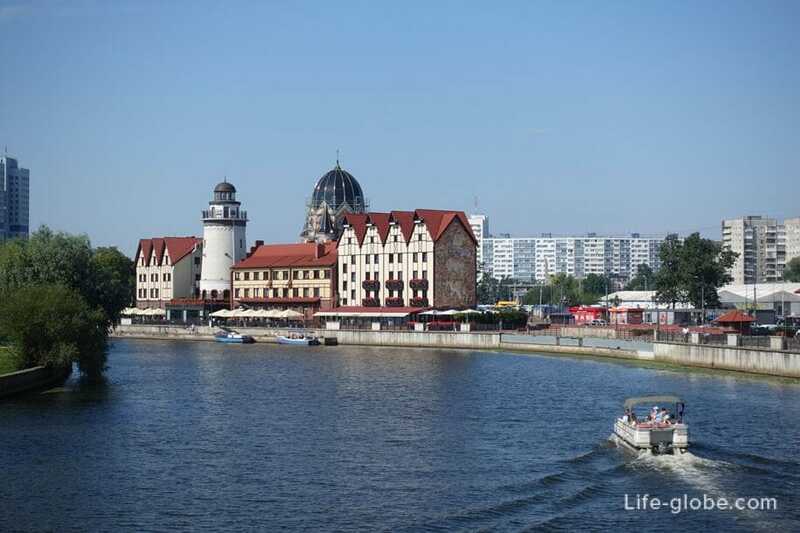 In the summer, when the weather is nice, the pier of the Fish village take boat tours on the boats on the river Pregolya. 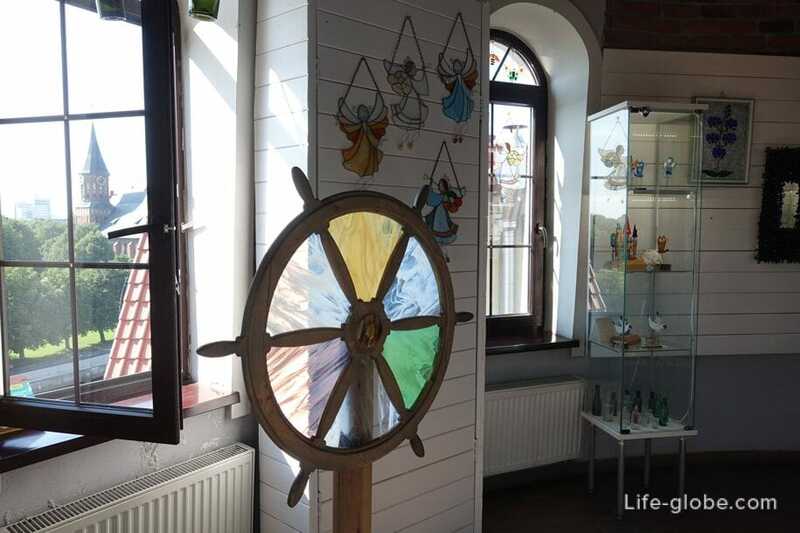 The tour lasts about 45 minutes, costs 500 rubles for adults, children 5-12 years - 250 rubles, children under 5 - free. 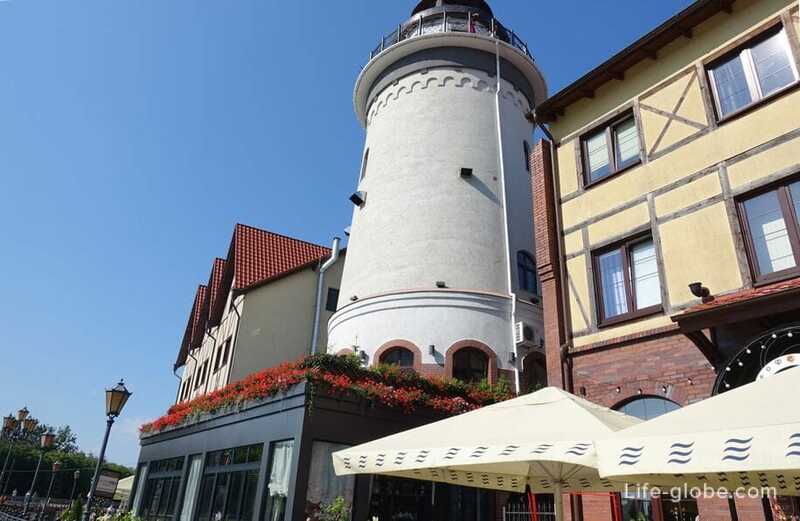 The main tourist attraction of the Fish village is the Lookout tower "lighthouse". 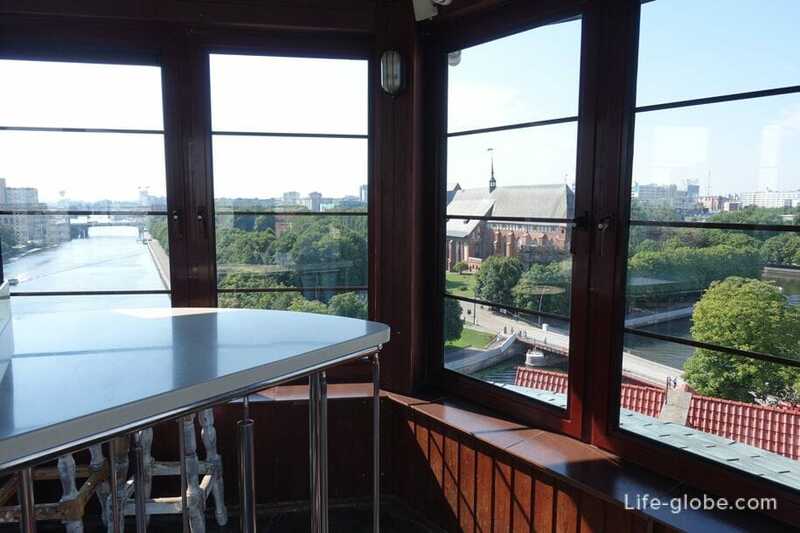 The observation tower is a restaurant "Madam Bushe", Museum of Glass, and outdoor observation deck located on the top of the tower. 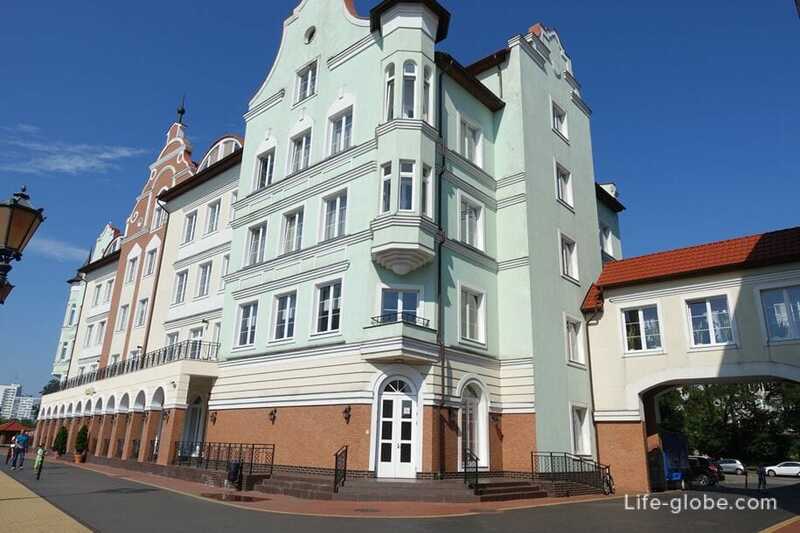 The entrance to the observation tower from the street Oktyabrskaya. 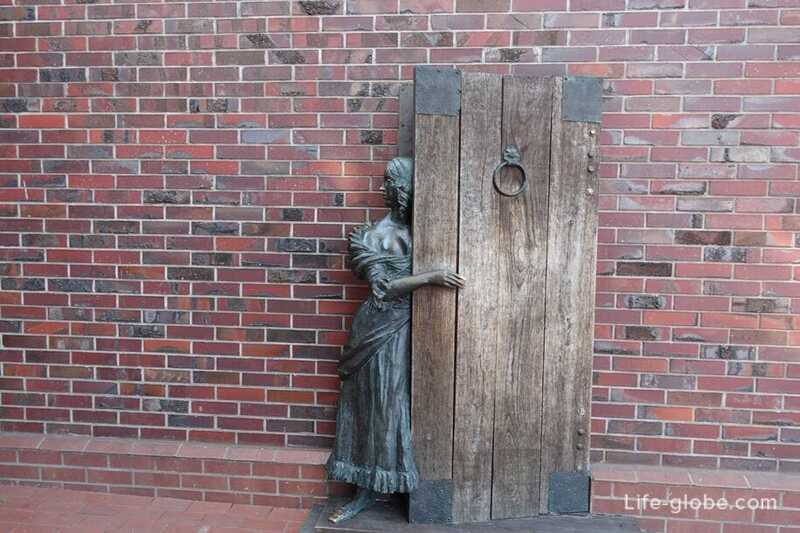 Near the entrance are two sculptural compositions: the sailor with the monkey on his shoulder, sitting on a bench, and the lady the landlady peering through the open door and inviting guests. 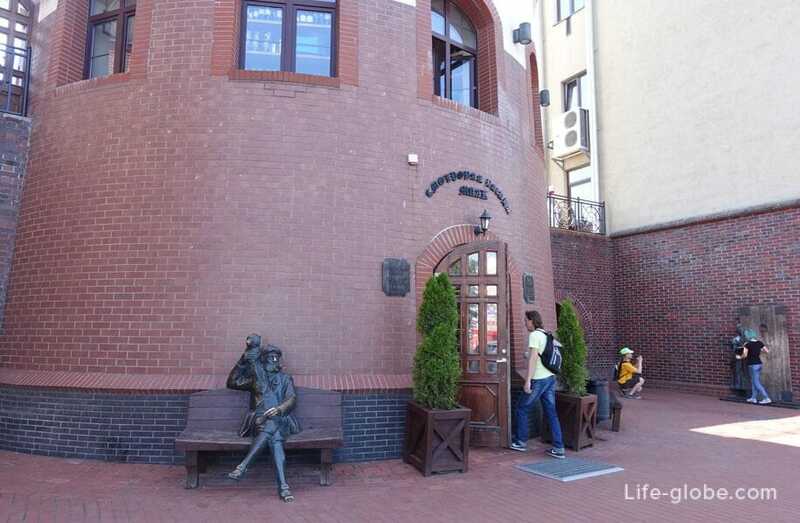 Entrance to the observation deck fee - 100 rubles. Working hours: from 10:00 to 22:00 PM. 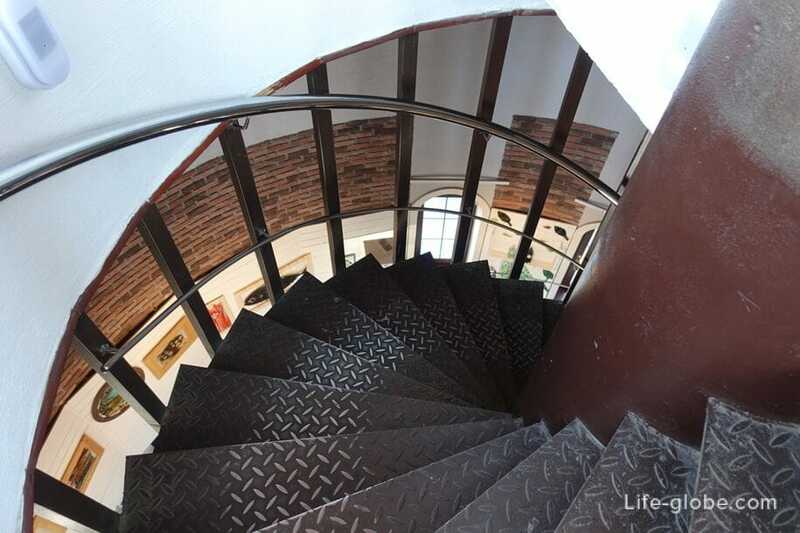 The ascent on foot only, via a metal spiral staircase. At the top of the observation tower located closed set "Rendezvous". And just below, open area with a 360-degree review. 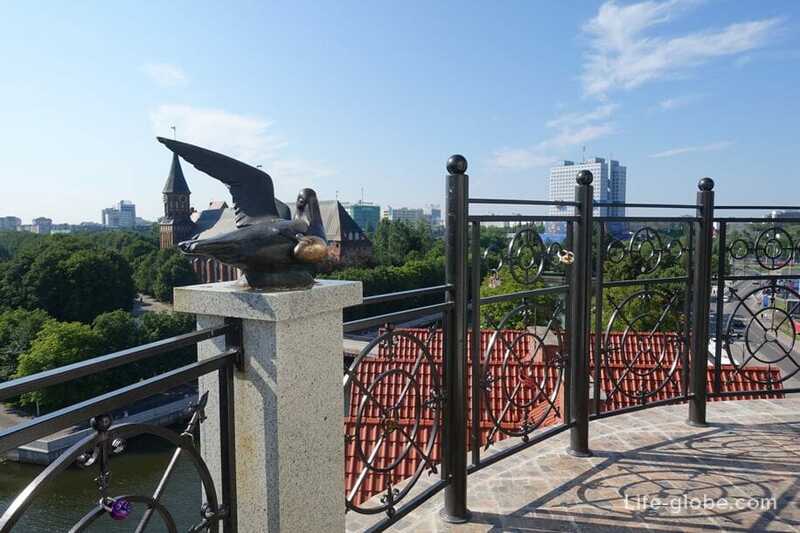 From this observation deck offers wonderful views of the Cathedral, the Council house, embankment of the Fish village and the surrounding area. 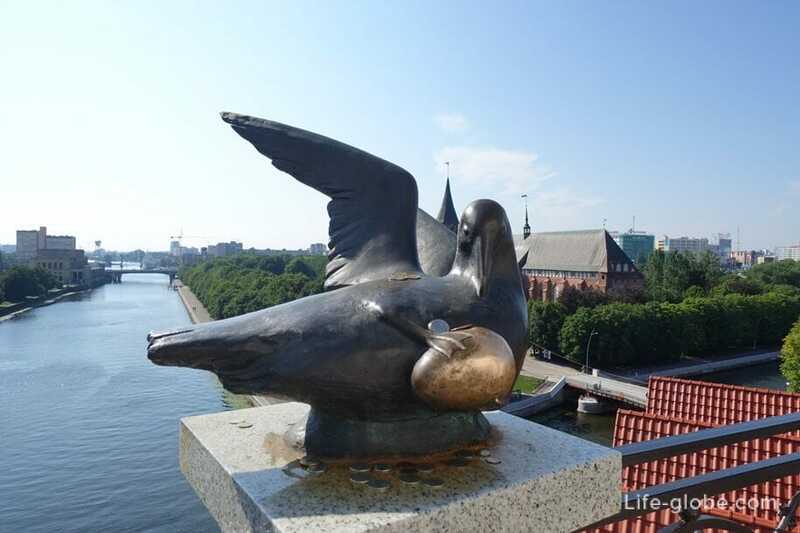 There is also the sculpture "Bird of Happiness". 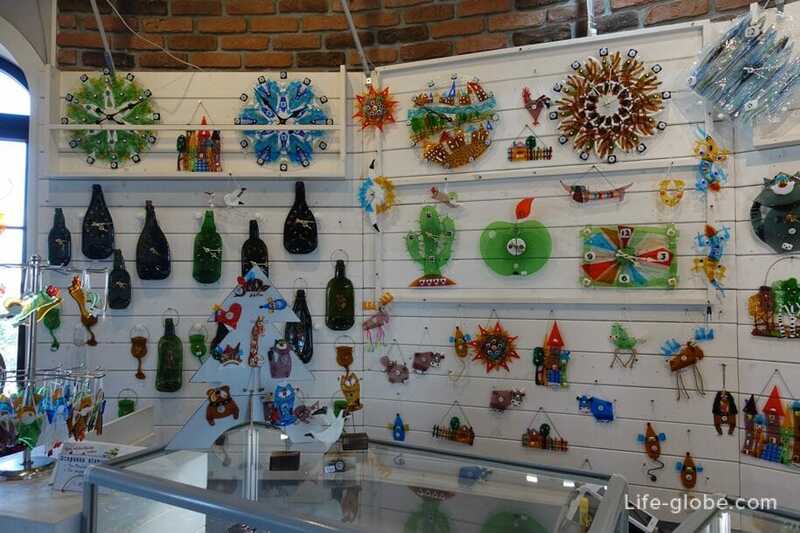 In the glass Museum you can see various glass products, as well as, if you want to buy Souvenirs or jewelry from glass. 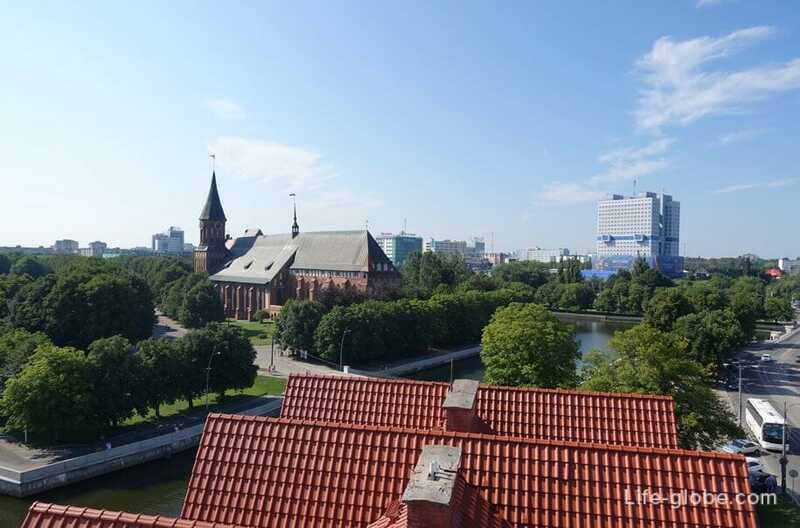 The glass itself is imported from the Czech Republic or from Mexico, and in Kaliningrad only produce the products from raw materials. 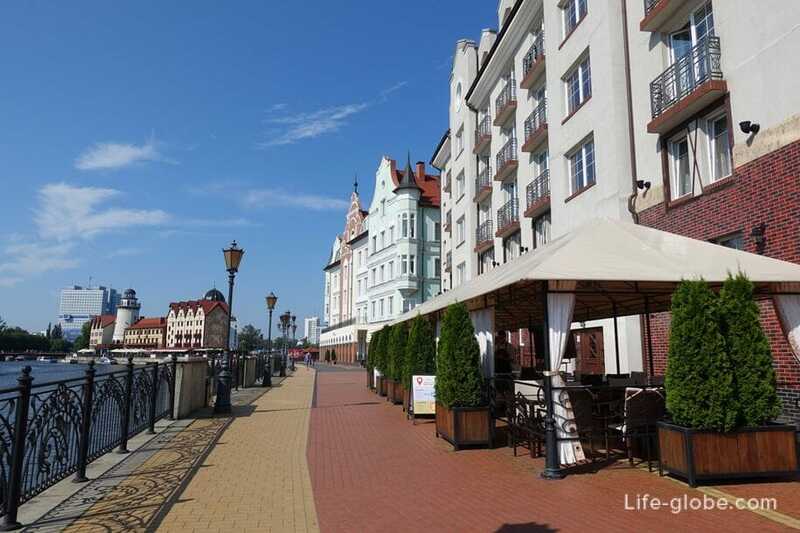 In the stylized buildings near the Viewing tower "lighthouse" - cafes and restaurants, as well as a 3-star hotel Skipper and the hotel "Honeymoon Bridge". 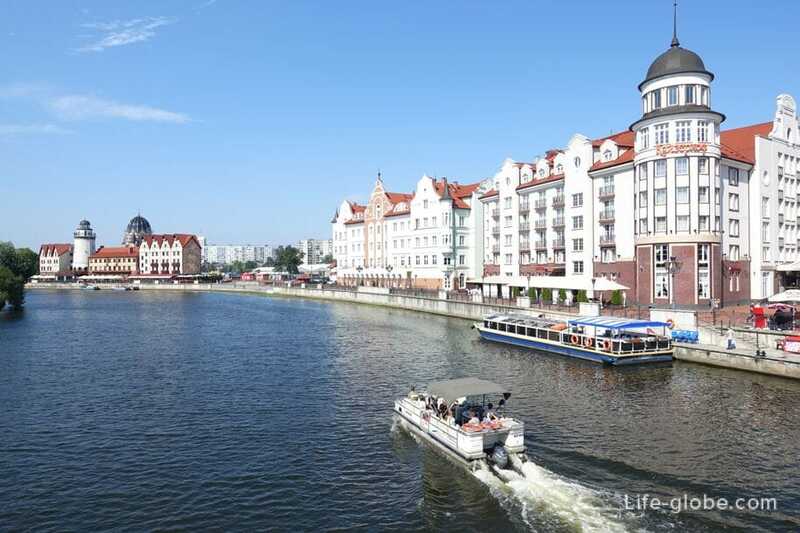 Next is the Honeymoon bridge, connecting the Fish village with the Kant island (formerly Kneiphof). 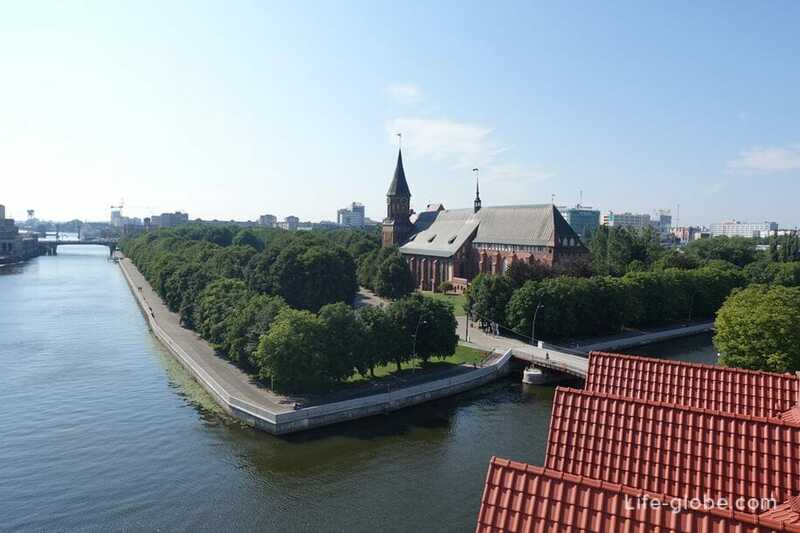 On Kant island are: the Cathedral, Kant's tomb and Sculpture Park. 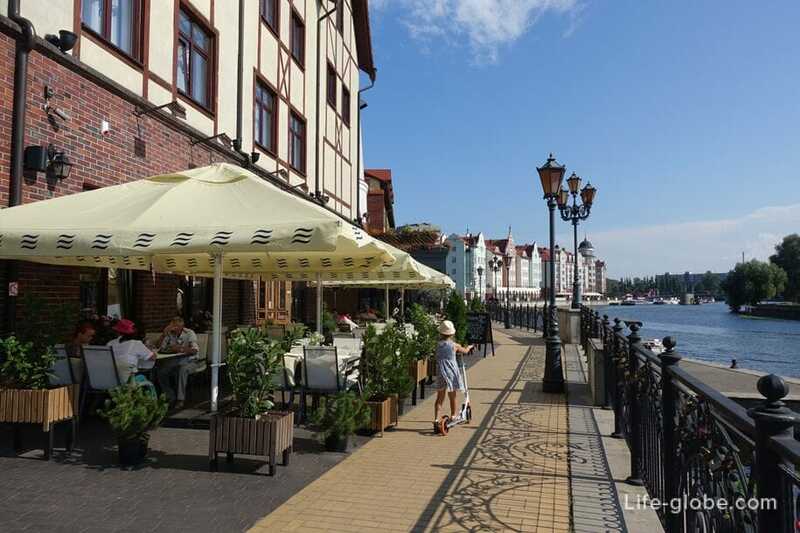 Near Honey bridge: shops selling goods made of amber and tourist center. 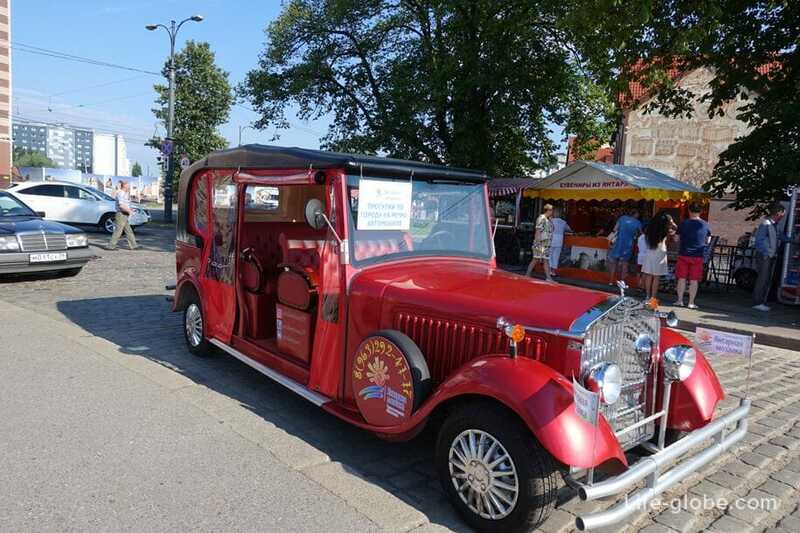 There are also vintage cars. Actually no, they are not retro, it is even today, electric cars made in China and sharpened by Rolls-Royce. 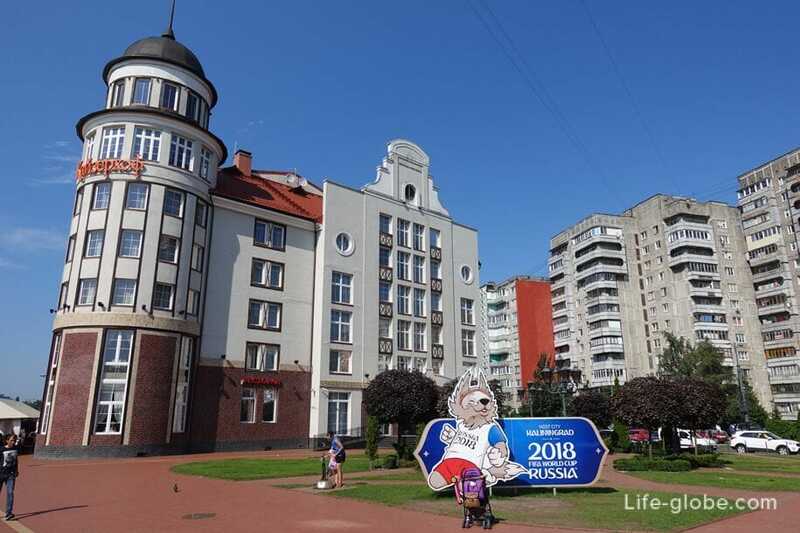 The cost of excursions on this car with an audio guide in the city centre - 1000 rubles per person, 20-minute mini-walk at Jubilee island, to the stadium, built for football world Cup 2018 - 500 rubles per person. 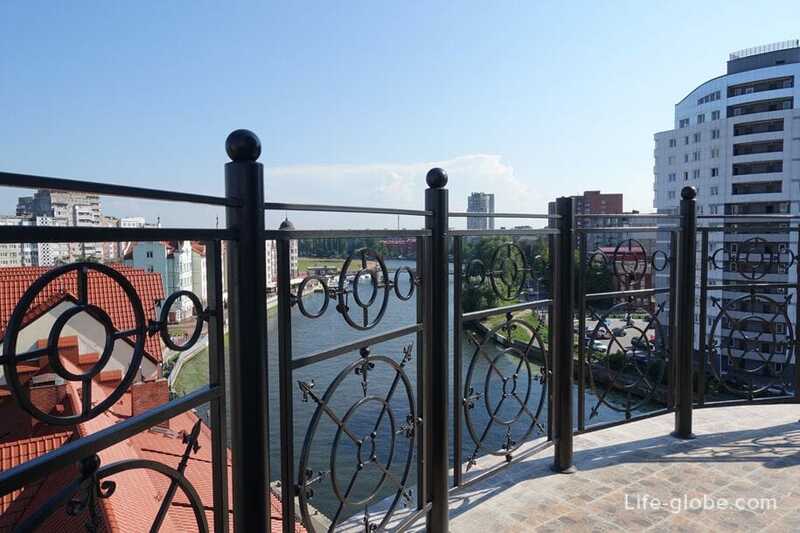 Over the Honey bridge. 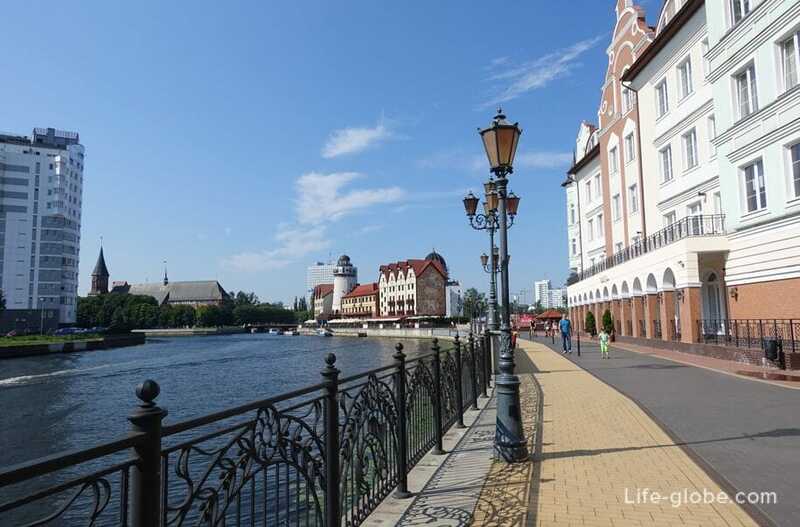 On the waterfront Veterans or Oktaybrskaya street leads to a Wooden bridge, beyond which is the house of Soviets and the Lower lake (Lower pond). 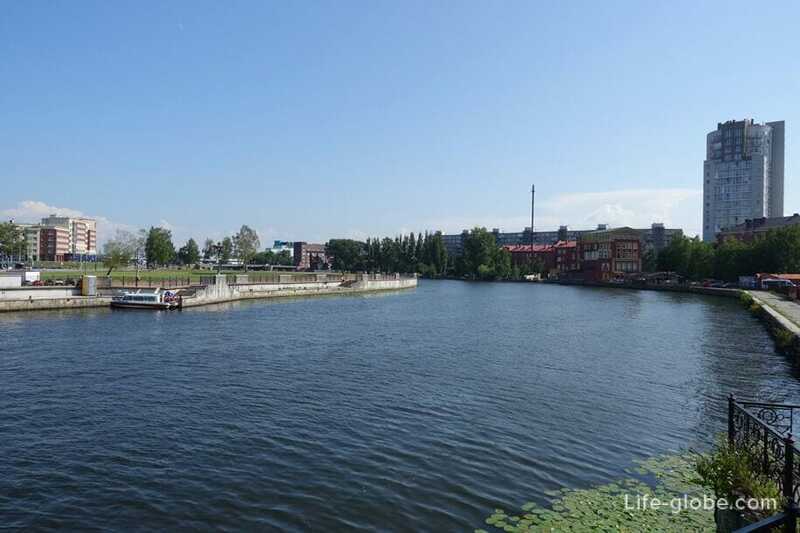 Directly near the Fish village side of the street Oktyabrskaya there is a small Parking lot. 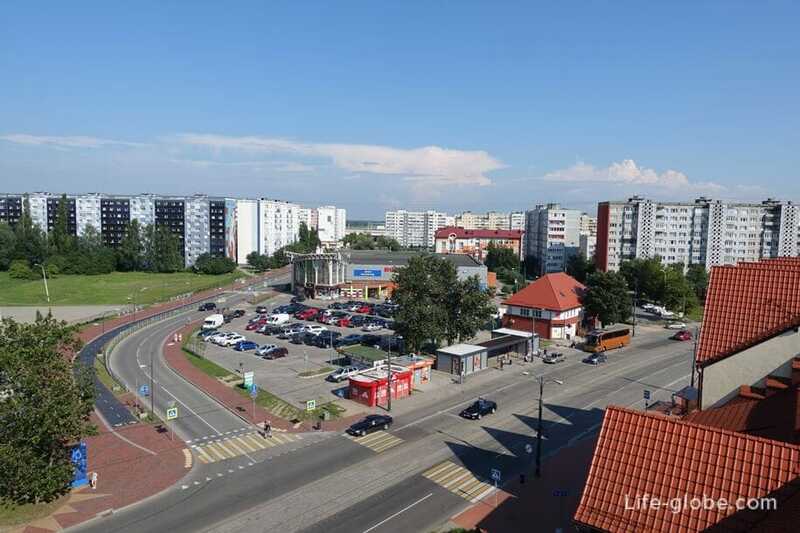 If this Parking you don't have enough seats, you can always leave the car in the Parking lot near a supermarket "Victoriya", entrance from the street the Oktyabrskaya or Solnechnii Boulevard.